Singapore is a place that will have you looking up in amazement more often than not. This city-state has enormous ambitions, something that's obvious the moment you step off the plane and into their award-winning airport, with its movie theaters, gardens (butterfly, orchid, and sunflower gardens, to be exact), malls, restaurants, and an indoor swimming pool. Singapore seems to be a fantastical, from-the-future city that has leaped out of a modern movie and into real life. You'll constantly forget where you were going because some massive sky rise will have stolen your attention. Singapore is filled with over 4,600 high-rises, several of which are skyscrapers – and yet, the city still manages to be one of the most green-filled countries in the world (#1 in Asia), with just about half of the country being covered in greenery. It goes without saying, but we really enjoyed our short week there and would jump at the chance to repeat it in the future. During this week, we were able to explore many of the things that make Singapore so special and distilled those into our favorite 7. First, a huge thanks to Santa Grand and their beautiful hotels for collaborating with us and making Singapore feel like home. We stayed at the Santa Grand Hotel Bugis, which is centrally located and made it extremely easy for us to get around, and then at Santa Grand Hotel East Coast, which has a beautiful modern aesthetic, a gorgeous restaurant down below, and is practically right next to the beach. We would recommend them both to anyone visiting Singapore. I had really high expectations for this place based on photos and posts online. My fear going into it was that the reality of the place would fall below these expectations. Fortunately, this is one of those few places that will handily exceed your expectations regardless of how high you had them set. 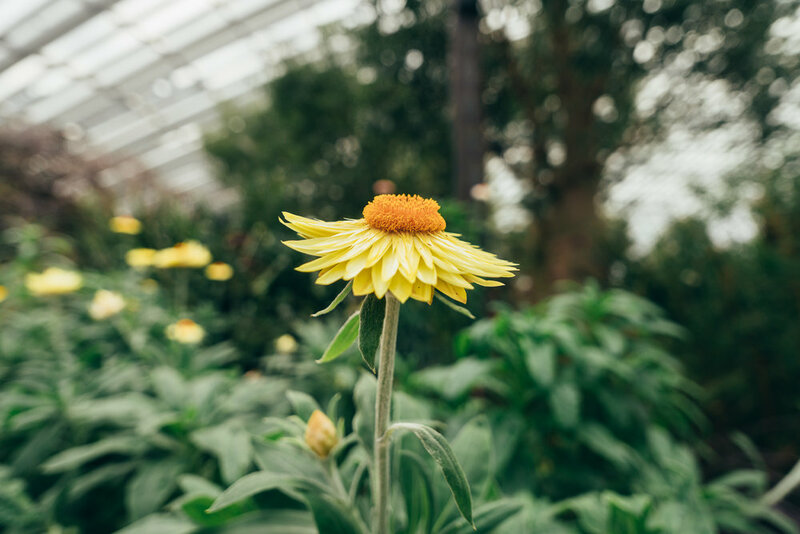 Gardens by the Bay strongly resembles and embodies Singapore in that has both a very modern and majestic aesthetic that is literally covered in greenery. Despite it being a theme park of sorts, it feels very connected to the city, mostly due to how it is set up. Essentially, much of the park is open and free to the public, which is refreshing. And while we highly recommend buying passes for the Flower Dome, Cloud Forest, and OCBC Skyway attractions (more on these down below), the park being as open and free as it is makes it a great way to casually spend an afternoon or evening. This is the reason we were able to come back a second day to enjoy their evening light spectacle. Imagine a world perpetually in Spring. 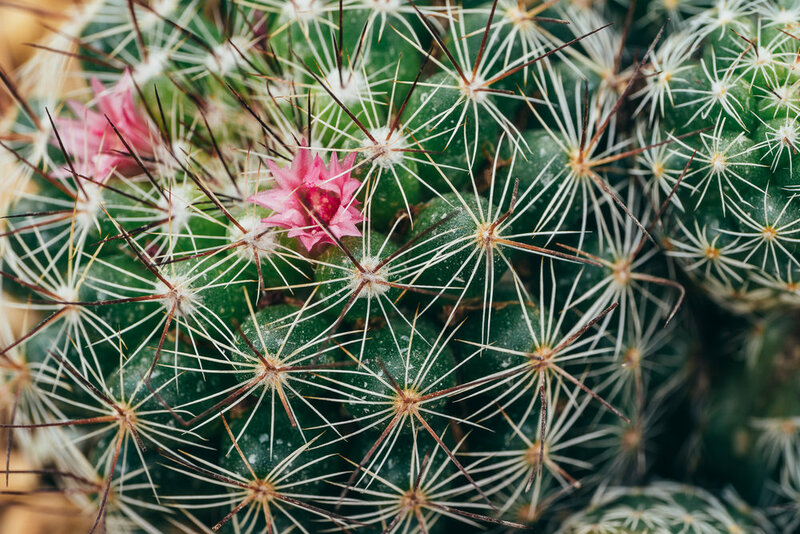 Flowers and plants blooming in controlled, cool-dry climates every day of the year, with regions from South Africa, California, Italy, and Spain being recreated perfectly for all visitors to admire. 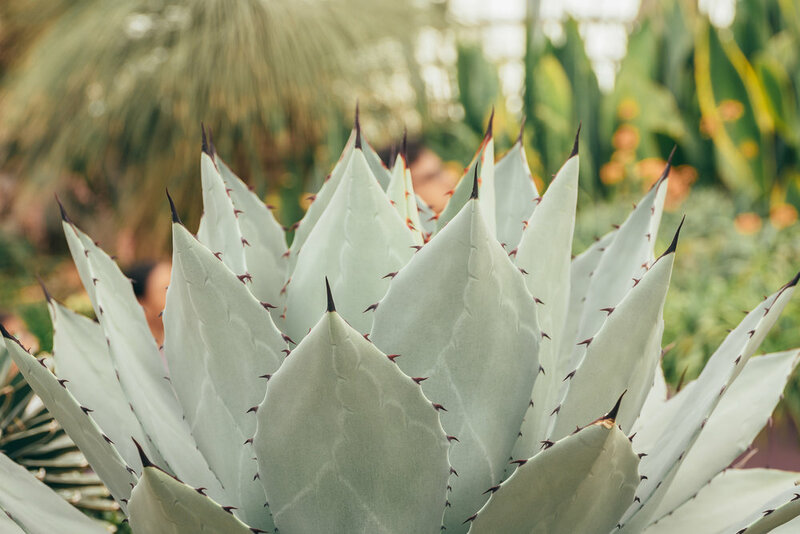 Whether you find plants to be miniature marvels of the universe or not (I do – they're awesome), this is a must-visit. 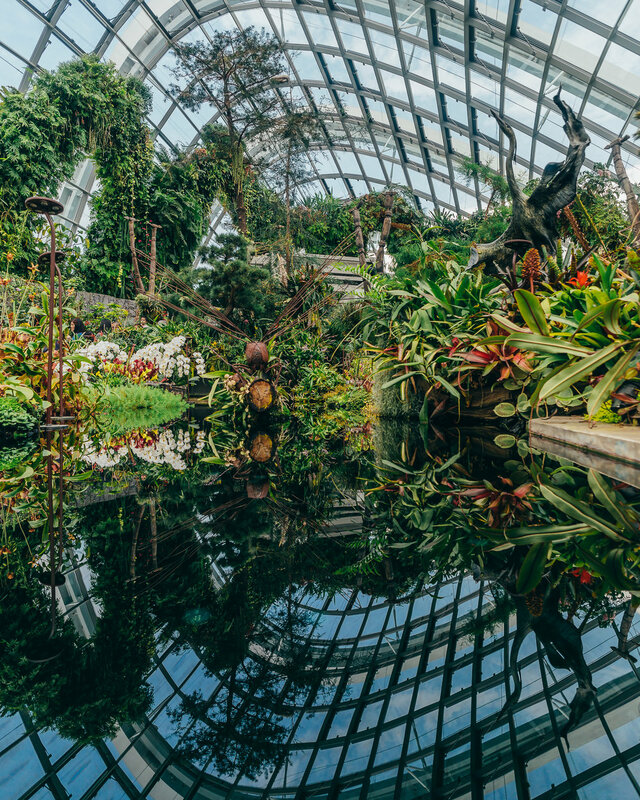 As usual, the entire collection of plants is housed in a majestic enclosure, having been named the largest glass greenhouse in the world (2015 Guinness World Records). The photos speak for themselves as to the beauty this place exudes. It's such a unique attraction! This structure is similar to the previous-mentioned one, although instead of climate-controlled forest and desert, you'll find yourself in front of the world's tallest indoor waterfall and surrounded by tropical plant life that normally exists in highlands up to 2,000 meters above sea level. Cloud Forest is yet another place that photos won't do justice to. There's an elevator that takes you to the top of this waterfall, giving you unique views of the conservatory, the people and biodiversity below, and the city on the horizon. 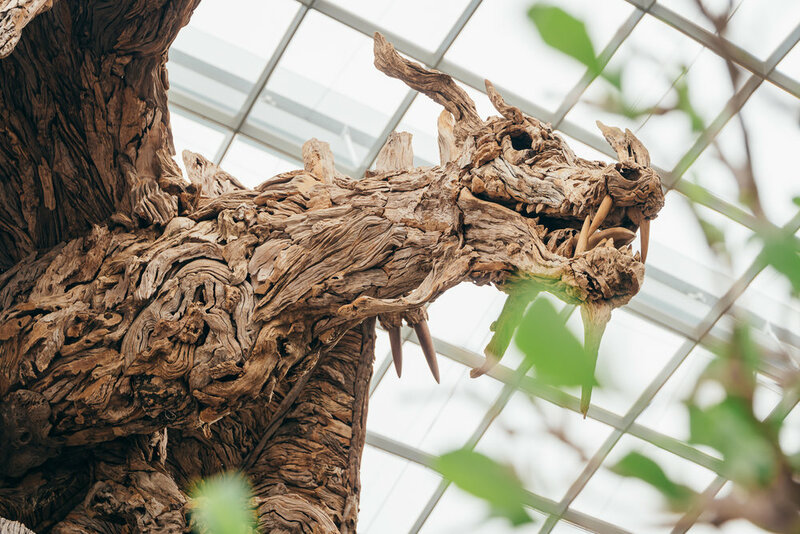 Above all else, this conservatory educates visitors in an entertaining manner on the rare plants that inhabit our earth and how quickly the environment that supports them – and us – is disappearing. This marvel is also worth visiting! So you've visited two of their main attractions – is there anything else left to do? Quite a lot, actually. One of the most memorable things you'll do after visiting Flower Dome and Cloud Forest is taking a stroll through the Supertree Groves, 72 feet in the air. This is what's known as the OCBC Skyway, a bridge that envelopes you with panoramic views of Gardens by the Bay and the Marina Bay Skyline (more on this later!) as you cross from one set of Supertrees to another. During the day you can easily take unforgettable photos from this bridge, and during the evening you'll get to see as the city, the park and the Supertrees themselves light up magnificently. Photos during the evening are slightly more challenging to take because the bridge is suspended from the trees via several suspension wires, which means that the bridge is always moving slightly and shifting under the weight of the people on top of it. I can tell you from personal experience that the longer you lean on one of the sides of the bridge, the more noticeable (and terror-inducing) the slight shifting becomes. All's fair in getting the best photo though, right? Aside from walking amongst the trees, and perhaps dining at one of the restaurants at the park, there's a light show called Garden Rhapsody every night that takes place at 7:45 and 8:45. Rain caused the show to be cancelled the first day we visited, which gave us a good excuse to go back and explore the park a second time. We were able to take advantage of the expansive free area I mentioned earlier to get front row seats to the light show for essentially the cost of two metro tickets. If you couldn't already tell, I feel this place is a one-of-a-kind attraction that everyone should experience at least once! Exploring outdoor and indoor local markets is one of our favorite pastimes as travelers. Bugis Street is one of the largest and most popular markets in all of Singapore, featuring three stories of stores upon stores and food at every corner. You'll find this area to be full of both tourists and locals, day and night. Whether you're looking for souvenirs, clothes, gadgets, electronics, or cosmetics, you'll find a variety of it here. Plus, some of the stores allow for haggling (and you know how much we love saving even more money whenever possible). While you're shopping or marveling at all of the things they get away with selling (i.e. eardrum-piercing, plastic-smacking drummer monkeys), you can find a number of place to eat (mostly street food) for prices much more reasonable than you'll find elsewhere in Singapore. As accessible and interesting as Bugis Street is, I'd be remiss if I didn't mention it as one of the top places to visit and spend at least an hour or two exploring. The 800+ shops are open from about 11 AM to 10-11 PM. Check it out! We love street markets - this is probably obvious by now. The Chinatown area is immediately interesting, with its narrow streets, busy shops, and beautiful and lively decor. There's enough to explore here that you could realistically spend days sampling the local food and exploring the area. The Chinatown Food Street is where we spent one of our evenings, watching the sunset as we devoured food and drinks from about four different stands. 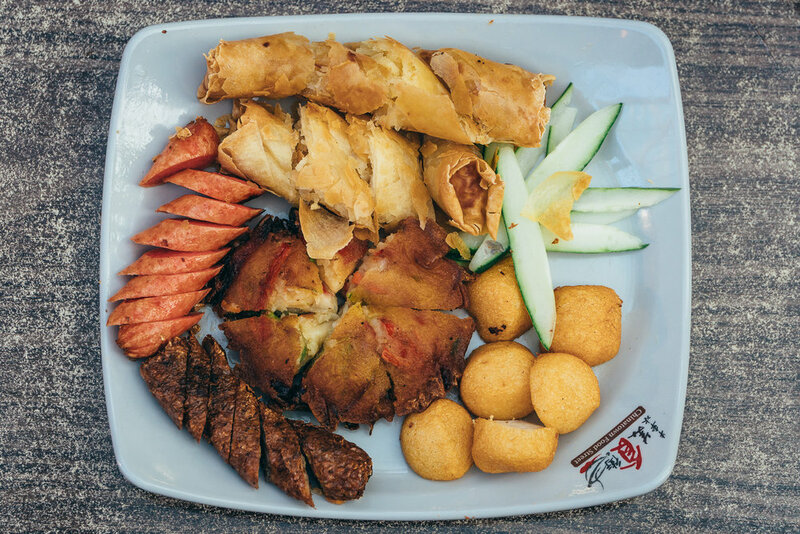 Between this and the ever-popular Maxwell Hawker Center (over 100 food stands in an open-air, covered hall), if its authentic Chinese cuisine you're after, Chinatown has you covered. Aside from the shops and food stalls, there are a couple of places in Singapore's Chinatown that are worth visiting. This includes the Chinatown Heritage Centre (Chinese history through restored shophouses on display), the Sri Mariamman Temple (Singapore's oldest Hindu temple, known for it's incredibly colorful entrance), and the Buddha Tooth Relic Temple and Museum (recently built Buddhist temple that is filled with Buddhist relics and offers free, two-hour tours throughout its many floors). Check out Singapore's Chinatown for a very unique and educational experience! 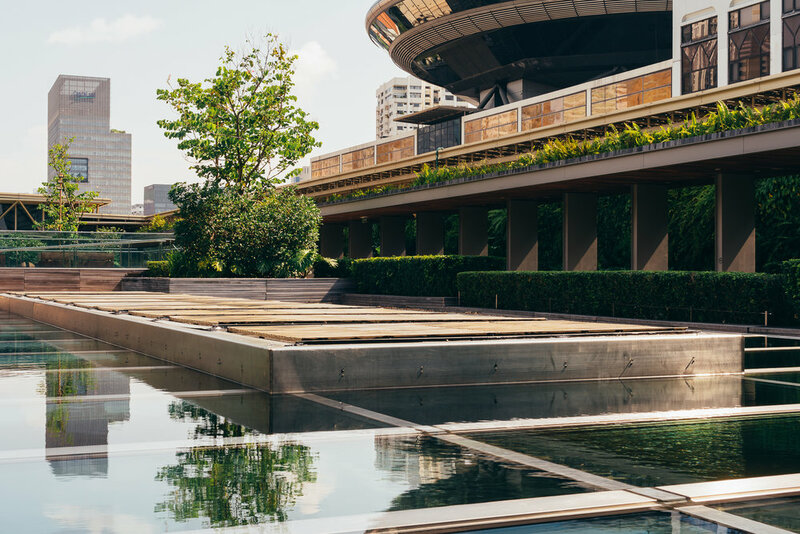 Easily one of our favorite places in all of Singapore, the National Gallery Singapore is the world's largest collection of Southeastern and Singaporean art. 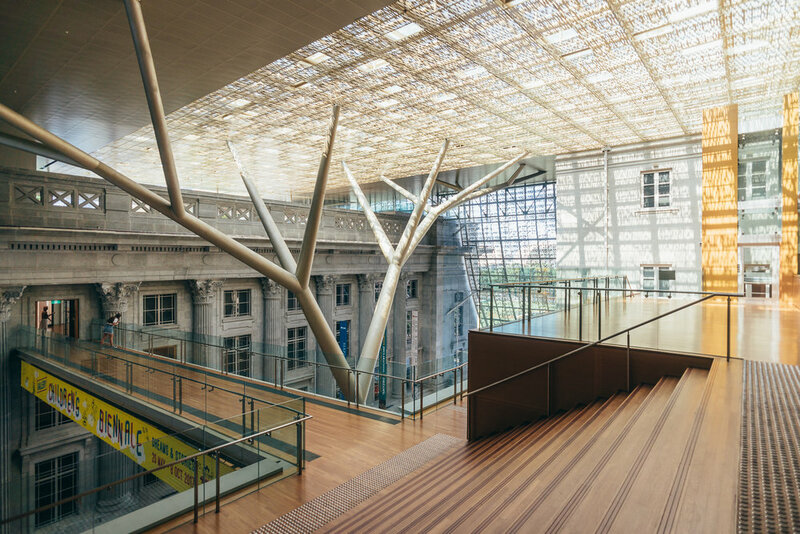 The Art Gallery is housed in two former Singaporean national monuments (City Hall and Supreme Court) that were restored just a few years ago and now hold over 8,000 pieces of art. 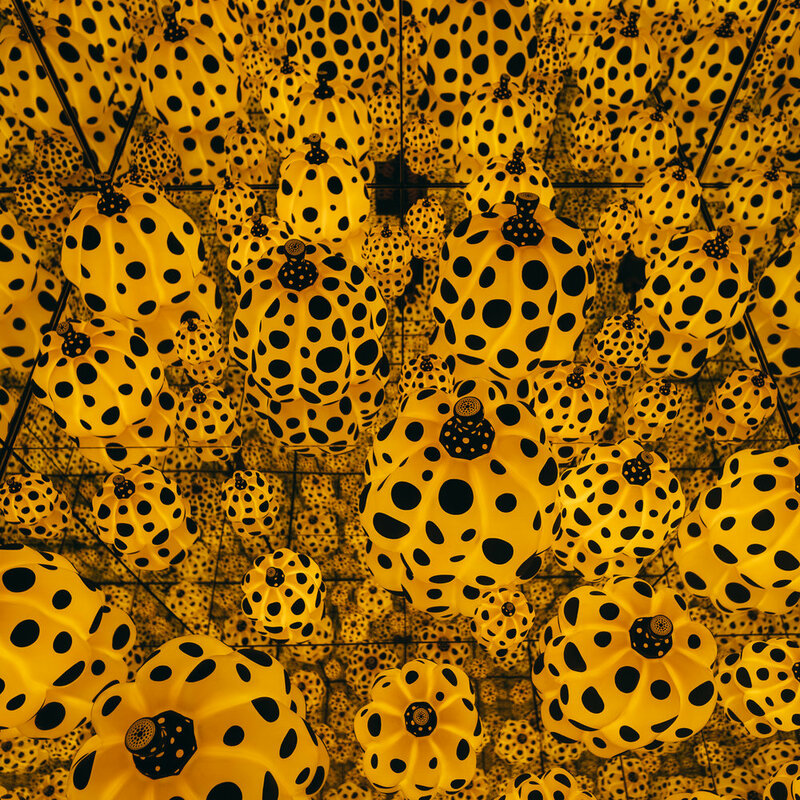 Its 6 incredibly expansive floors are works of art themselves, and are honestly reason enough to visit the museum. 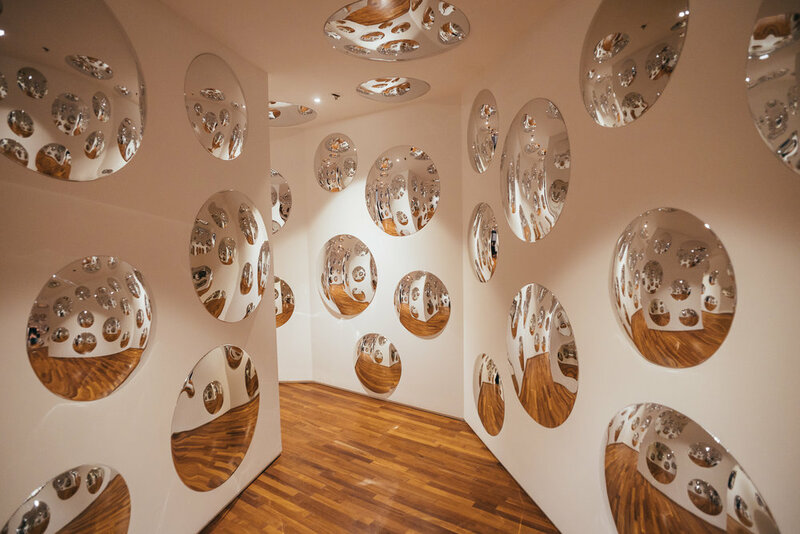 What amazed us was "Life is the Heart of a Rainbow," their marquee art exhibition created by the prolific and eminent Yayoi Kusama, which had on display not only her latest work but also favorites from her past 70 years of art. 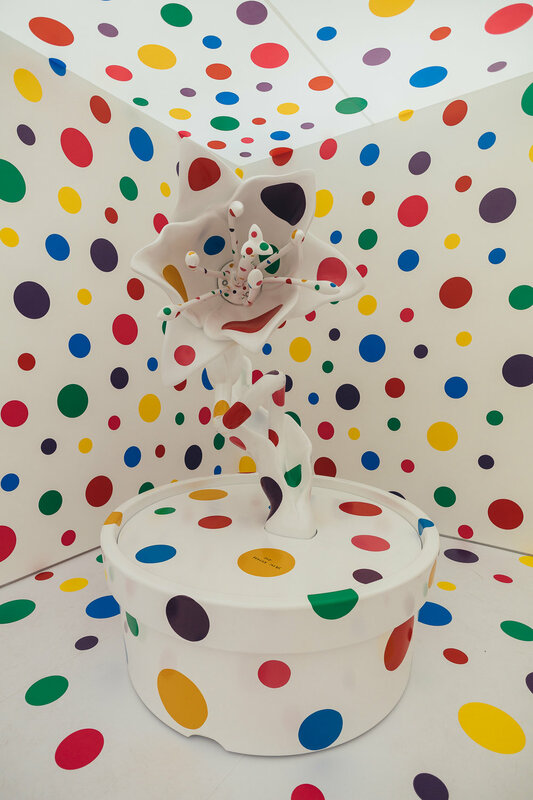 We found the art work to be as thought-provoking as it was visually striking, finding a balance between chaos and patterns through her obsession with dots. During our afternoon at the National Gallery Singapore, we also saw a number of other exhibits that included a roof garden exhibit (by Ng Teng Fong) that was accompanied by city-wide rooftop views, an interactive and imaginative children's gallery/installation (Gallery Children’s Biennale), and countless regional art pieces and paintings up to several hundred years old. It was a busy afternoon. An awesome, busy afternoon. This is another one of the places on this list that I'd revisit in a heartbeat on returning to Singapore. When visiting, just make sure you come with plenty of time! Exploring the exhibits can be quite time consuming due to the volume of art and the size of the gallery. Singapore is one of the few cities in the world that can be immediately identified by its skyline. The main reason for this is Marina Bay, an area filled with not only the previously-mentioned Garden by the Bay, but also with other architectural icons such as Marina Bay Sands and Sands Skypark. We've said it several times before: we're not huge fans of shopping. That being said, Marina Bay Sands – the 3-tower, 55-story, extravagant hotel/shopping mall that is the epitome of luxury and modern design – is a marvel to behold in person, both inside and out. Our idea in visiting Marina Bay was to experience Spectra, the water and light show that occurs every evening for 15 minutes. What we didn't expect was to have our jaws drop several times on the way there. For those who want or need the latest from Jimmy Choos, Dior, or Leica – this is where you go. When you're done shopping, you dine at one of the many restaurants regularly frequented by celebrities, and when you're through with that, you go for an evening dip in the infinity pool/bar at the top of the towers, right before retiring to one of your ultra-luxurious rooms with its own private butler service. Our visit was street food + free light show. Not as fancy, you could say. And yet, Marina Bay Sands, with its colossal indoor mall and its outdoor area overlooking the city skyline, left indelible images imprinted on my mind – more so than the light show, even. So I say go for the impossibly impressive manmade buildings and malls, and stay for the water and light show. Note: Towards the end of 2017, Singapore will have finished moving and refurbishing the contemporary design Red Dot Museum to the Marina Bay area, giving you one more reason to visit! East Coast Park was one of the most relaxing, short getaways Marta and I had in Singapore. This park is a marriage of 15km of scenic beach with a park that allows for sports, skateboarding and biking, and barbecuing – all of which we saw on our stroll down the beach. Plus, if you're planning an all-day excursion that includes the beach, you can shower at one of the many public bathrooms while there and continue with your plans. 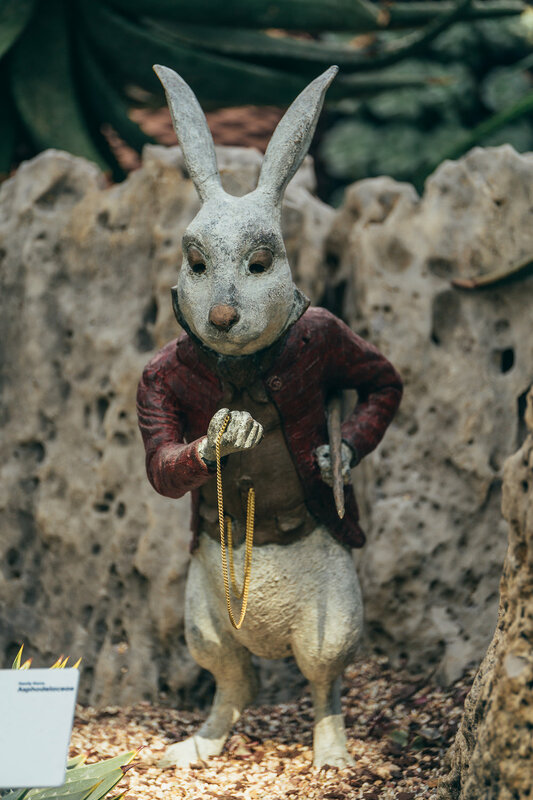 The park is essentially open while light is available – from 7 AM to 7 PM – and is easily accessible through public transportation (although we were within walking distance while staying at the Santa Grand East Coast Hotel!). The park is connected to the city via an underground pass and a short walkway. If you're looking to do some beach-side exercise or just relax with a good book under coconut palms, this is the place to be. As long as there's good weather, this is a great way to spend a morning or an afternoon! 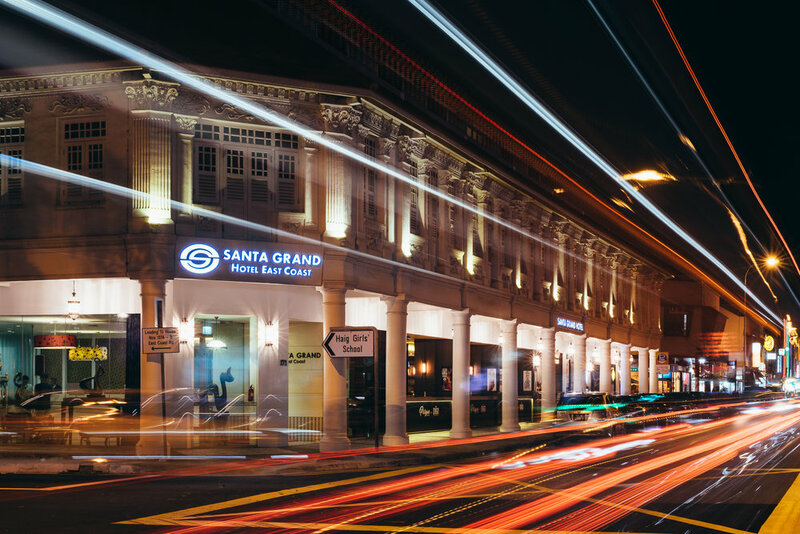 The first hotel we stayed at, the Santa Grand East Coast Hotel, was (fortunately) located right next to Arab Street, which rather than being a single street, is an area that houses a strong concentration of Singapore's Muslim population. It is located within Muscat Street, Bussorah Street, and Haji and Bali Lanes. The heart of this area is the beautiful Masjid Sultan Mosque, which is impossible to miss, and for good reason. It is the Singapore's most impressive mosque, with history that dates back almost 200 years. Our favorite focal point of the area was the variety of Middle Eastern food that we had access to, much of which was also economically feasible for us (let's not forget – Singapore is somewhat difficult to visit on a strict backpacker budget!). What's more - and definitely bears mentioning – is that we visited at the tail-end of Ramadan. We were doubly fortunate to have visited Singapore on those dates and to have stayed alongside Arab Street. 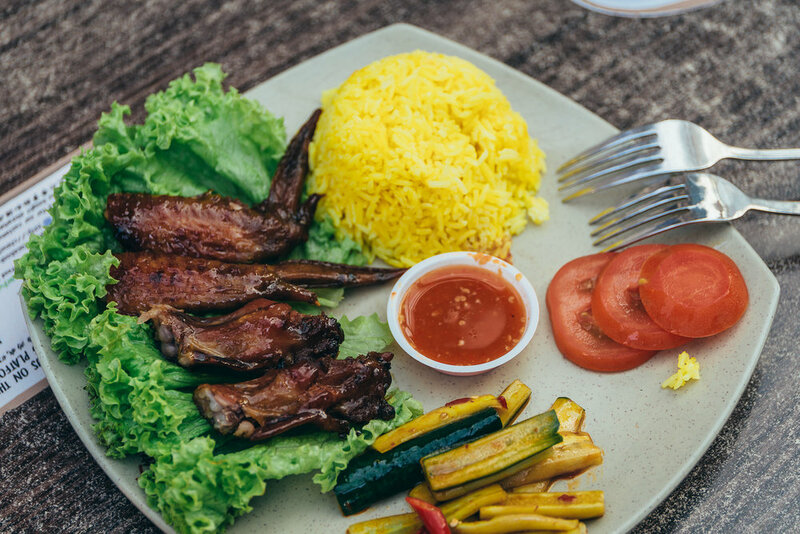 This is because during these dates, the Muslim community open up food bazaars throughout the island, with food stalls that feature a wide range of cuisines. The bazaar on Arab Street that we frequented was the "Ramadan 2017 Sultan Bazaar." During Ramadan, you can expect these bazaars to pop up after sunset, when those of Muslim faith break fast (their Iftar sessions). We were triply fortunate to have visited Singapore during Ramadan. 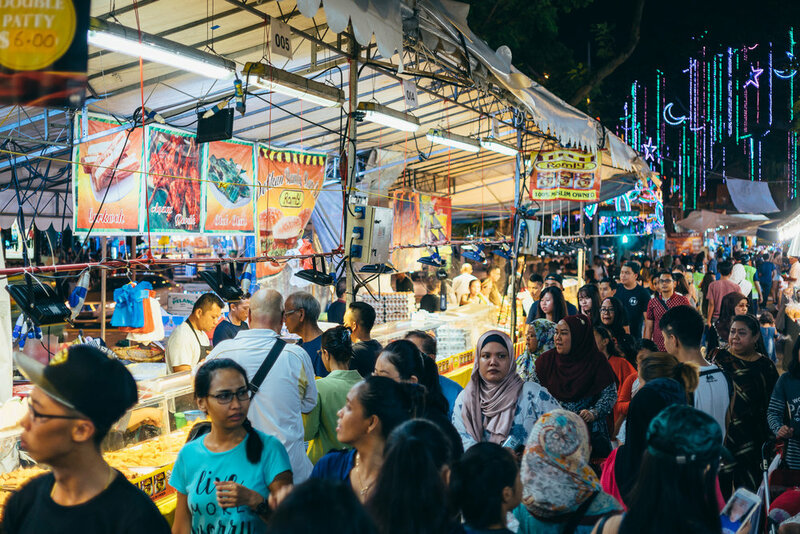 We were also able to experience the 2017 Ramadan Bazaar at Geylang Serai – or a seemingly significant portion of it, at least. The scale of this night market is incredibly difficult to capture with words, especially considering that there were over 1,000 individual stalls this year. Imagine walking past a food stand that has what you would consider to be delicious food – people are lining up to buy. You decide not to buy anything yet, because you just got there. You pass five stands, and catch another popular stand with delicious food. Desserts this time. After walking past ten stands, you notice that the pathway you're on leads to another 15 food stands, all carefully placed in succession. There's so much to choose, you're not sure where to start. You continue onwards and cross the street, into the next area of food stalls. Ok. Now, you're in what seems to be a small autonomous city of food stalls, with food and desserts and pastries from a variety of countries (we were easily able to find our Thailand-favorite, mango sticky rice). It's crowded with hungry locals, noisy from the calls of a megaphone and wooden percussive instruments (don't ask), but the inviting scent of what must be 40+ food-and-drink stands is too inviting to ignore. There are lines for the food everywhere and (almost) everything looks delicious. So you finally crack down and buy something to eat. Two, three, or maybe even four things. You find a seat somewhere on the sidewalk to finish the culinary treasures you just happened upon. That's when you spot it. There seems to be another "food stall city" across the street. Scores of people walking in and out. After finishing your food, you walk on over to see what all the fuss is about. This one is a enormous hangar. Literally. As you try to focus on the far end of this area, you realize it's about ten times as large as what you were just in. This one, however, also has stalls that sell elaborate carpets, clothes, trinkets, packaged gifts and desserts, alongside other food selections. You then look down the street and realize that everything you've seen is just a portion of this enormous night market. We were pretty fortunate. We ate plenty that night and rolled ourselves back to Santa Grand East Coast Hotel, which was just a short walk away from the whole extravaganza. 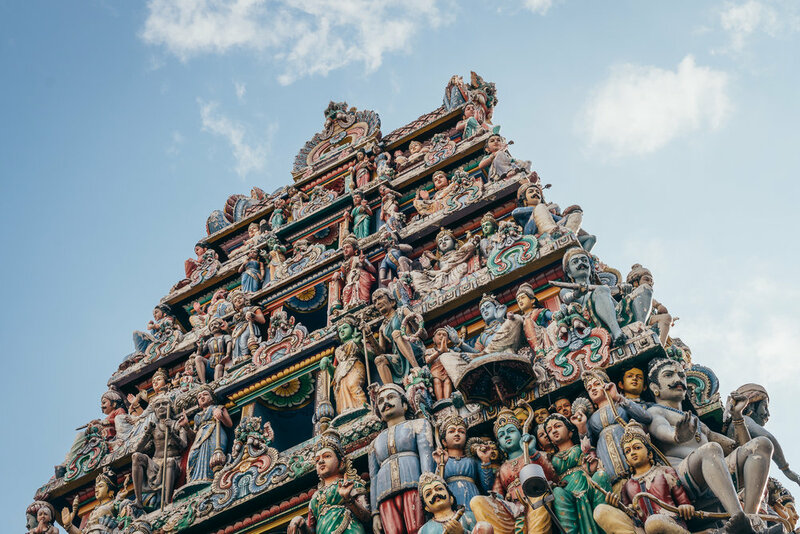 While we only spent a week in Singapore, we would have easily and happily spent an entire month exploring everything and revisiting the places mentioned above (finances permitting!). Needless to say, we had an amazing time in Singapore and can't wait to go back. Have you visited Singapore, or is it on your bucket list of countries to visit? What are you looking forward to seeing most?